Lanzarote is much more than beaches, the characteristics of the island make it a special place to cycle. Today in First Minute Transfer we will talk about the mountain bike routes in Lanzarote. Here you will find paths and trails that will allow you to get to know it from another perspective. 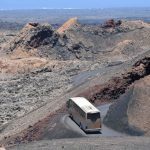 Traveling Lanzarote by pedals is possible for people with any level of experience. From those who do it only as a holiday hobby to expert cyclists. The characteristics of the island become an attraction for cycling. 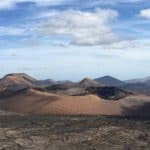 The bike rides will allow you to have more contact with the nature and the lunar landscape of Lanzarote. It will be a different way of knowing the island. And, although it is common to meet many cyclists, you will be far from crowded places of tourists. 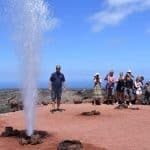 Which does not mean that you are not going to know the most popular attractions such as the Timanfaya National Park. You can take detours or additional roads to visit specific sites. What makes the cycle routes in Lanzarote so special is that the relief of the island does not have extreme altitudes. You will find unevenness and slopes, some difficulty, but in many cases there are alternative ways to avoid them. Trails covered in volcanic ash and craters will be part of the attractions. On the other hand, the extension of the island allows to cycle it in a few days. You should like to ride a bike and you have to be fit for the routes. Plan the route in advance if you are going on your own. Bring hydration and sun protection. Make sure you have the necessary safety equipment: helmet, reflective vest, lights). Wear your swimsuit because on some routes you will have the opportunity to take a bath on the beach. 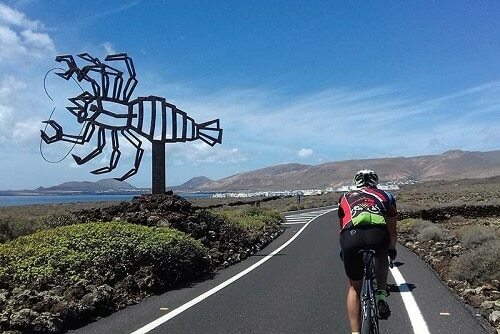 You can combine the bike rides with other excursions in Lanzarote to enjoy more the spirit of the island. When you go to the island you can take your bike or leave it at home. 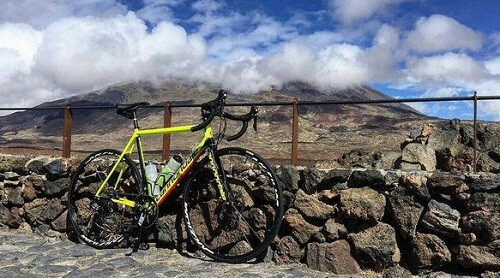 You will find that there are facilities for renting bicycles in Lanzarote. You can choose between short routes, that is, day trips or tour the island for several days on pedals. You can also choose between doing the walks on your own or with a company. These have all the equipment you need during the tour and guides that will accompany you. There are even some who will take care of the luggage to the place where you go to rest every day. Choose the type of trip that suits you so you can enjoy the trip to this Canary Island to the fullest. You can do the road trip or going into the mountains. Everywhere you will find road signs. Also do not miss finding other adventurers like you, because it is a popular place for cycling. Next, let’s see some of the routes you can do during your stay on the island. 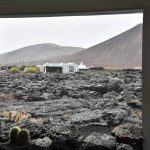 Costa Teguise is a good place to start exploring Lanzarote by road or mountain bike. From there, there are several places that you can visit pedaling. Different companies will present you the most varied routes. But if you decide to do it on your own, it includes the Tabayesco path from where you can get to the Mirador del Río. From Costa Teguise you can also go to Tahiche, Teguesite, La Vega de San José and the historic center of Teguise. If you want to bike around the villages this is a good alternative. If you want to reach the highest point of the island, you should go to the Peña del Chace. To get to this point you can also depart from Costa Teguise. Among the attractions that you will find on the way some archaeological remains and the possibility of walking on the edge of a crater. These are two attractions that should not be left out of your route plan. To the wine region of La Geria you can arrive departing from Teguise. On the way you will find the Wine Museum and the Monumento al Campesino (Monument to the Peasant). Starting from Puerto del Carmen towards La Geria there are also other routes that you will enjoy if you prefer mountain biking. These lava tracks will take you to the Parque de los Volcanes, to Timanfaya or Montaña Blanca. When you arrive at Timanfaya you can not enter the park by bicycle. You will have to get on the bus to make the journey. You can take that time to rest and replenish energy. Above we mentioned that you would find routes where you could take a bath and this is one of them. The Ajaches is a protected area in which there are several coves. We recommend Playa de Papagayo to stop and take advantage of the sea. Within this route you can include other places such as Salinas del Janubio Los Hervideros through the volcanic coast, starting from the Gulf. 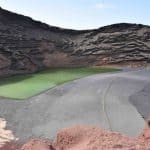 La Graciosa is a small island near, which you arrive by ferry from Puerto de Órzola in just 20 minutes. 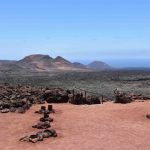 The island of La Graciosa is very flat and the paths are ideal for cycling. There are no paved roads and you will only see a few rustic cars that have permission to drive. One of the attractions of La Graciosa is being able to travel by bike. You do not have to carry yours, because on the islet there are places where you can rent all the equipment. 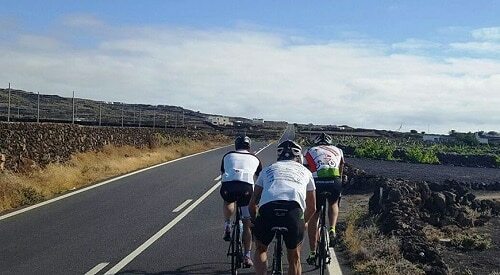 Among the most popular routes you will find on the island is the return to Lanzarote by road bike. Unlike the previous routes this is done by stages that are divided into several days. It requires more planning and you have to define how long it will last and the routes that will be made each day. It is worth it to dare to do it if you are a bike fan because you will connect more with the island. 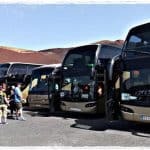 You will also have the opportunity to know the most popular sites during the tour. 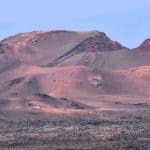 These are some of the mountain bike routes in Lanzarote that you should consider on your next trip. 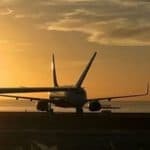 If you need a transfer from the airport to your place of destination on the island, contact us and book with us. 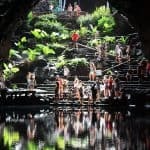 Next Next post: What to see in Lanzarote for free this autumn. Excellent!